Virgin Australia says it will consult with the community and its staff over plans to recognise Australian Defence Force veterans travelling on its flights. 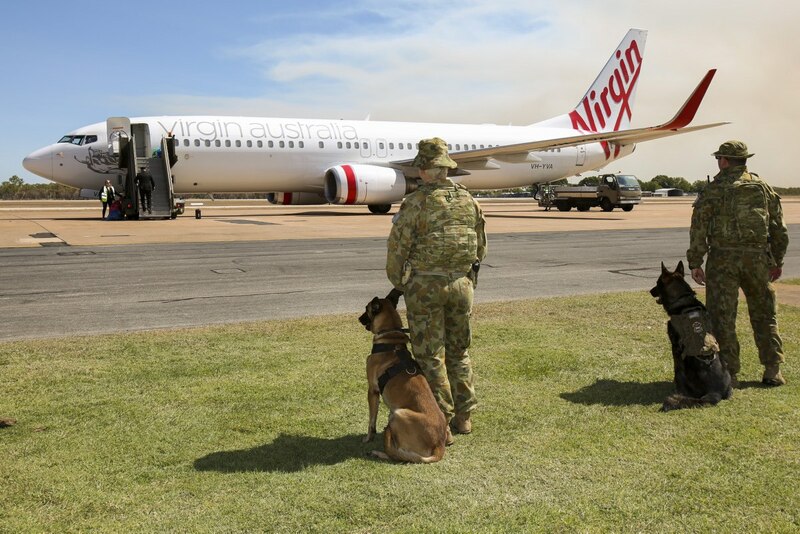 On Sunday, it was reported Virgin Australia would offer ADF veterans priority boarding and acknowledge them before flights. They would receive these benefits by showing either a discount card or lapel pin being rolled out to the 300,000 ADF veterans by the federal government. The discount cards and lapel pin initiative was announced by Prime Minister Scott Morrison in late October at the conclusion of the Invictus Games. “We acknowledge the important contribution veterans have made to keeping our country safe and the role they play in our community,” Virgin Australia chief executive John Borghetti was quoted in News Corp media outlets on Sunday. While the proposed initiative was welcomed by a number of government ministers, it drew criticism from groups such as the Australia Defence Association (ADA). Veterans also took to social media to question the need for such measures. On Monday, Virgin Australia appeared to backtrack on its plans. Via its official Twitter account, the airline said it would seek feedback to find the best way to recognise veterans. “We are very mindful of the response that our announcement about recognising people who have served in defence has had today. It was a gesture genuinely done to pay respects to those who have served our country,” Virgin Australia said. “Over the coming months, we will consult with community groups and our own team members who have served in defence to determine the best way forward. Virgin Australia is due to hold its annual general meeting in Brisbane on Thursday. “We have utmost respect for current and former defence force personnel, and we honour their service in a few ways during the year, including special announcements on ANZAC Day and Remembrance Day, and through our partnership with the Australian War Memorial,” the Qantas statement said. “We also have a lot of former Air Force personnel and current defence force reservists working at Qantas. I’m sure our humble veterans would be embarrassed by this kind gesture. I think it’s sad that in a society where the people who we’ve sent away to fight (regardless of what we think of the wars) are suffering in many cases from PTSD and physical ailments that the best our government can do is a lapel pin and a card – and sorry, sure someone at Virgin was trying to be kind but they should have seen through the sallow cynicism of this move by a desperate government. Much better to quietly offer some sort of discount or other gesture rather than an overt bit of theatrics. I’ve seen this in action in flights in the US. Hope they don’t do it here. It’s kind of creepy and a couple of vets we spoke to dutlring flights, said they hated it. I’m mindful that I can’t find the original article on LinkedIn to see if there were any responses to my comment that maybe investing in PTSD was a more inclusive way to show appreciation. Grateful if you can provide the link to the article because I can’t find it again. YES A VERY SILLY IDEA, MOST IF NOT ALL RETURNED MILITARY PERSONNEL WOULD BE HIGHLY EMBARRASSED BY THIS SUGGESTION. WHO ON EARTH THOUGHT OF THIS, PERHAPS WITH 11Th NOVEMBER NEARLY UPON US IT STIRRED THEM INTO ACTION. THEY PROBABLY MEANT WELL, BUT JUST NOT A GOOD IDEA AT ALL, I HAVE BEEN ON INTERNAL FLIGHTS IN THE USA WHERE THEY DO THIS, PLEASE NOT HERE. How will Virgin know who is a Veteran? If I don’t tell them I am, are they going to violate my privacy in some way to find out? What’s the point of being allowed in first if I am in an aisle seat and have to get up to let the others in? If Virgin want to do something for us, try a discount (I have a Gold Health Card which gets me exactly naught from the airline right now), access to the Lounge would be nice, or, heaven forbid, offer an upgrade when there are empty seats at the pointy end. I’m sure one of these options would be acceptable. Hell, I’m 70, don’t need to fly that much anymore and won’t be around too much longer to access the benefit anyway. I am a DVA VET an upgrade or a discount would be nice. How often do you see empty seats in Business & First class. From a 78 year old Vet Vet. A meaningful discount, regardless of whether the fare is already a ‘special’ or the ‘lowest fare’, lounge access (including veterans family when travelling accompanied), and opportunisitc upgrades would probably go further. Discounts off full rate fares, when other discount fares are already cheaper, would unfortunately be a hollow offer. For the many that believe that Americans’ reverence towards their veterans is confected, it is not fake or insincere in the least. Is it far more more pronounced that we are comfortable with? Probably yes, but that doesn’t mean our position of significantly understated recognition is correct. Furthermore, American society has also shifted to recognise service of other first responders / emergency services where possible which is a worthy position. American businesses routinely offer various elements of recognition (pricing, adavncement in queues, upgrades, etc) and typically extend that to veteran’s families also – as they recognise that service is a sacrifice for families also. I applaud Virgin for trying to raise the profile of veterans recognition. The Australian populace has not had to broadly carry the burdens of military capacity across society since National Service, which has left many people isolated from the effects. Any measures or actions that generate conversation are worthwhile. Unfortunately, as many have acknowledged through time, freedom is not free – and isloationism doesn’t always isolate you from global issues. Veterans will be around for many years and generations to come if history is any indication. No they haven’t. Police Officers, Firefighters, Paramedics and a host of other emergency services personnel are no where near as glorified or thanked in the United States as members of the US military. I don’t see paramedics getting priority boarding on an airline or firefighters getting paraded around before every american sports match. Where’s the public holiday in honour of civilian emergency personnel?